You must have heard this a thousand times that you are not made for freelancing or freelancing is too risky and blah blah blah. Some people perceive freelancing as a wonderful opportunity to explore the hidden talent whereas others see it as a risk worth not taking. Some see freelancers living a poor lifestyle whereas others perceive the lavish lifestyle of freelancers. One of the biggest obstacles that you have to overcome while starting your career as a freelancer is your family. Your family loves to see you in a secure place financially. When you go for a 9 to 5 job, you are getting something at the end of the month. But, as you convey your wish to your family, all hell breaks loose. See, quitting the job is something of a nightmare for your family members because, for them, your security is what matters most. But the creative you know that you are capable of achieving bigger things. You are born to shine on the grandest stage of them all. So, you quit your job against the wish of your family and embark on the journey of uncertainty which is freelancing. You have heard a lot about freelancing in the past. Now, as things unfold, you are suddenly realizing that freelancing is a completely different ball game altogether. Some might get confused and scared. They might run away from the challenges. One thing is for sure, if you have an escaping mentality then freelancing is not for you which many established freelancers will tell you. Many younger people hear about freelancing and they jump on to the boat without realizing where the boat might lead them to. If you have heard a lot of myths about freelancing and looking to quit your job and start a freelance business then in this article, you will find 10 of the most prominent myths available on the internet which will be busted at the end. Keep on reading as you will get a clear view of what freelancing is all about. Well, some people perceive freelancers as jobless and hopeless people who are just trying to make a living for themselves. This is actually a disgusting way of perceiving freelancers. Freelancing is a way of bringing flexibility into life and make life more interesting which is very difficult in a 9 to 5 job. Also, many freelancers quit their jobs to do what they love and not what someone else orders them to do. Also, freelancing provides you with a wonderful opportunity to earn some cash even while studying and make it full-time career when your study is over because you will already have a network of clients who are ready to offer you with work. Your earning as a freelancer depends on the amount of time you give to your work. For example, if you are a part-time freelancer and you are doing it because of fun along with your 9 to 5 job then you will not be earning a lot. But, this earning cannot be compared to someone who is a full-time freelancer. He or she is investing more time on freelance work than someone who is doing it just for fun. So, there has to be a huge gap between the earning of two. Freelancing provides you with the opportunity of earning unlimitedly. Most freelancers earn way lot more than what they used to get with their 9 to 5 jobs. Therefore, you just cannot say that freelancers don’t earn a lot. How many freelancers have you seen in your life? 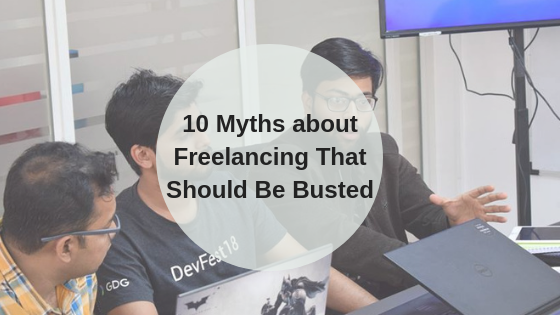 If you did saw some freelancers then you will not believe in this myth. Freelancers quite their regular jobs to bring a balance not only to their working life but also to their personal life. If you say the life of a freelancer is unstable relationship wise then you should know that freelancers can have time for their loved ones anytime they want. Most freelancers work from their home and so they stay close to their families which makes their relationship much more stable. If you are pointing out the instability factor with finance then you will be astonished to find out that he freelancers earn a lot more by working a bit hard than their regular work. Also, they are able to plan the day properly which brings stability in their lives. The life of a freelancer is more exciting than what you could expect. Basically, a freelancer has to meet new people most days and interact with them. Some might have to go to a particular office to work on a specific project where they meet new people. Also, if you think that working in your home will bring loneliness in your life then you can find a co-working place where you will be working with other freelancers or you can go to a café and work while relaxing and enjoying your cup of coffee. Literally, it is true. However, the honeymoon period won’t last long as reality starts to sink it. You will not be working for a particular person. But, you will work for many people. In general sense, you will not have a boss like a regular job but you will have clients to deal with. Some clients can make your life a living hell by not giving you enough space to work. However, you will also find some clients who will let you work in your own way and show your creativity. So, as a freelancer, you have to balance of type of clients. If you are dreaming of a lifestyle where you will be chilling on the beach and working at the same time and then sleep off the rest of the day then you are making a huge mistake. As a matter of fact, the life of a freelancer will give you ample time to enjoy the day. However, if you are chilling on the day then you have to work at night and vice-versa. Also, you might have to fulfill your client requirement by working late night even after working throughout the day. This is the life of a freelancer. Well, actually the case is different. As a freelancer, you are the one mane army. You have to fulfill the client’s requirement, track payments, promote yourself to get new and high paying clients, and also stay relevant to the industry by learning new skills. Therefore, you will have to everything of your own just like running a business. There will never be a day without excitement in the life of a freelancer. Well, many freelancers initially believed this myth to be true. However, with time, they realized how wrong they were. If you are running a business then you have to be people-friendly. Your business will depend on the relationship you built with your clients. Only by means of good communication, you will be able to do that. So, even if you are not so people-friendly by nature, you have to change it for the sake of your business. Well, if you are freelancing along with your regular job then you just cannot see the potential of freelancing. Basically, it gives you the opportunity to not only explore yourself but also provides you with a good earning at the end of the month. Now, you may say that some clients may not pay you. Well, it happens to most. But the probability of happening every time is very slim. Many full-time freelancers are not just making good money, they are absolutely killing it. Many people think that they can make millions within a month after starting freelancing. Frankly speaking, if you think like that then drop your idea of becoming a freelancer in the first place because, in freelancing, you will have to give time for growth. You just can’t go from rags to riches. You will have to work hard to earn money and if you do that then you can rest assured that your hard work will pay off. There is no shortcut, but persistence will eventually pay off. If you want to become a successful freelancer then you have to survive in this highly contested market. You have to evolve your skills and market yourself so that the clients hire you. Also, communicate well with the clients which will enhance your reputation. 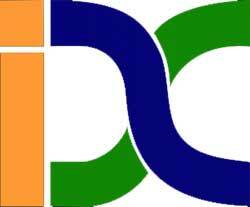 With time, you will gain experience which will enrich you as a freelancer. By providing quality work, you will surely to reach the pinnacle of success. If you are a freelancer and want to share your experience or bust any myths then do drop in comments. Get in touch with us on Facebook or Instagram and let us know! Previous articleHow to Find a Digital Marketing Mentor? Next articleWhy Should Housewives Learn Digital Marketing?